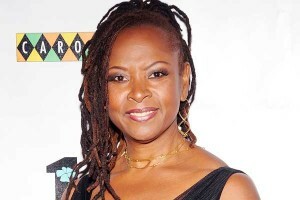 Robin Quivers is an American radio personality, actress and author, who has riches of $45 million. She is best-known as the anchor and co-host of ‘The Howard Stern Show’. She earns an annual salary of $10 million. She was born on August 8, 1952, in Maryland, United States. Currently, Robin co-hosts the popular radio show- ‘The Howard Stern Show’. She also appeared on a sitcom, called ‘The Fresh Prince of Bel Air and Deadly Web’, while also gave guest appearances in shows, such as ‘Larry King Live’, ‘60 Minutes’ and ‘The View’. She also penned two books- ‘The Vegucation of Robin: How Real Food Saved My Life’ and ‘Quivers: A Life’. Robin has a lavish condo in Manhattan. It is a two-bedroom apartment, which features two full and half bathrooms, along with facilities, like a wine tasting room, resident’s lounge, a health club, 24-hour concierge, children’s playroom with an outdoor area, as well as a valet parking. She also owns a luxurious mansion in Beach Haven, New Jersey. In 1974, Robin earned her nursing degree from the University of Maryland. She started working at the Maryland Shock Trauma Facility in the intensive care unit. Later in 1975, she joined the U.S. Air Force as a Second Lieutenant. After 6 months of services, she was promoted to First Lieutenant. She acquired her rank as a Captain in 1978, but she was discharged a month later. She began her career in the radio industry at WIOO, Pennsylvania, with a newscasting position. In March 1981, Quivers started working as an anchor on ‘The Howard Stern Show’. Robin’s 15 Foundation aims to build a new future for youths through creative arts, nutrition and education. Through her foundation, she gifted $25,000 to the Connolly Ranch and $50,000 to the Edible Schoolyard Project. Both these organizations work to educate children about proper food nutrition.